The Duke and Duchess of Sussex have been winning hearts ever since they officially announced their romance with an engagement. Their love story was the perfect fairytale from the very beginning: an actress who fell in love with a prince and became royalty. After being set up on a blind date, the two claim that sparks flew from the very first date. 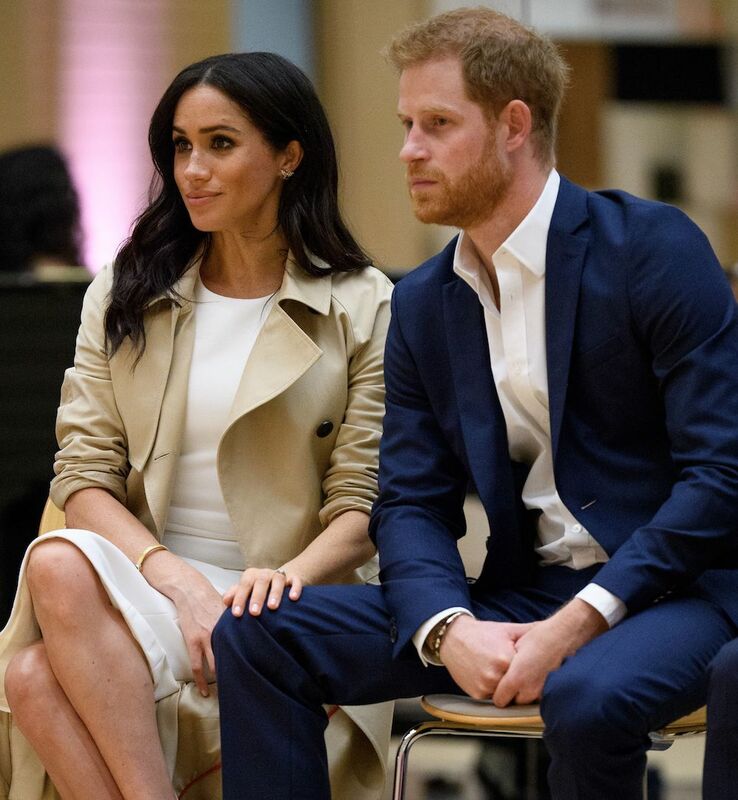 Prince Harry and Meghan Markle tied the knot in May 2018 after a whirlwind romance. Five months into their marriage, the couple is currently on a royal tour in Australia and have announced that they are expecting their first child. Despite the royal tour being on for only a few days, there have been far too many movie-moments that have not only melted our hearts but also illustrated how deeply in love the two are. 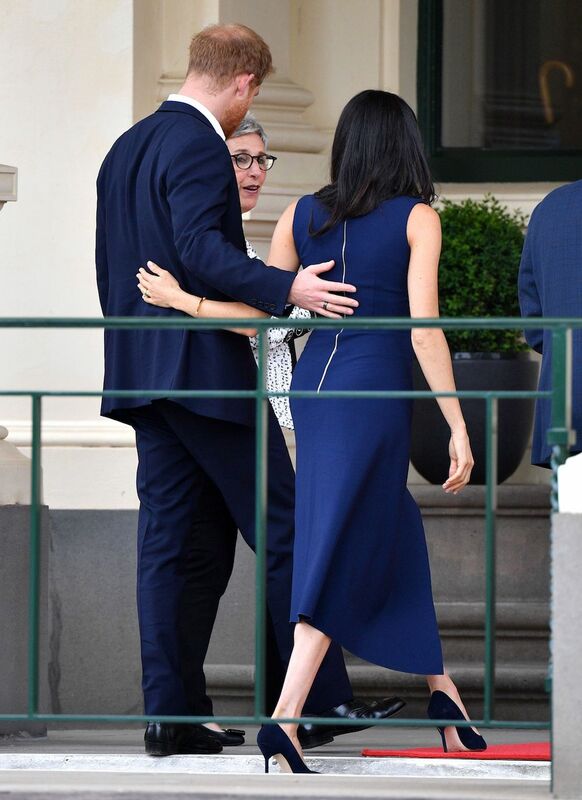 Despite being royalty, their PDA is off the charts and with a couple more weeks to go of the royal tour, we certainly cannot wait to see more of this. Here is a rundown of the cutest moments of the parents-to-be during the royal tour, which will prove that they are nothing but #RelationshipGoals sometimes. Now, who else can hear Rihanna’s Umbrella being played in the background because I totally can. 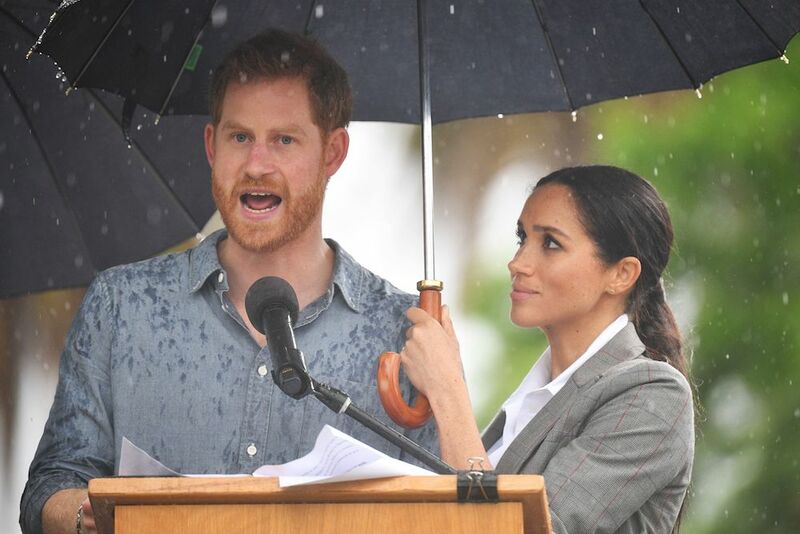 This cute picture of the two as Prince Harry delivers a speech during the tour is just so adorable. After the Royals arrived in Dubbo, they were greeted by school children and much to everyone’s surprise a five-year-old boy Luke Vincent tottered over to greet them, handed them bouquets of flowers and gave both the Duke and Duchess the biggest and cutest hugs. He also snuck in a cheeky beard scratch and patted Prince Harry’s head. MAKING FRIENDS: 5-year-old boy rubs Prince Harry’s beard after giving him a hug on day two of the Duke and Duchess of Sussex’s tour of Australia. The Royals kicked off their shoes and donned tropical garlands as their latest stop of the tour was Sydney’s famed Bondi beach. Mommy-to-be Meghan put on a summer dress and set aside her high heels, while Harry ditched his usual suit for chinos as the couple lapped up cheers from Australian fans and enjoyed Bondi’s surf. Earlier during the trip, they also visited the South Melbourne beach and the pictures look straight out of a magazine cover shoot. Now we all know that the Duke and Duchess of Sussex tend to break the royal rules when it comes to showing their love and a little PDA doesn’t hurt anybody. Their body language is lovely to watch as it speaks volumes about their love for each another. Whether it’s a hand on a knee or instinctively reaching for one another’s hands, they don’t seem to be able to keep their hands off one another. 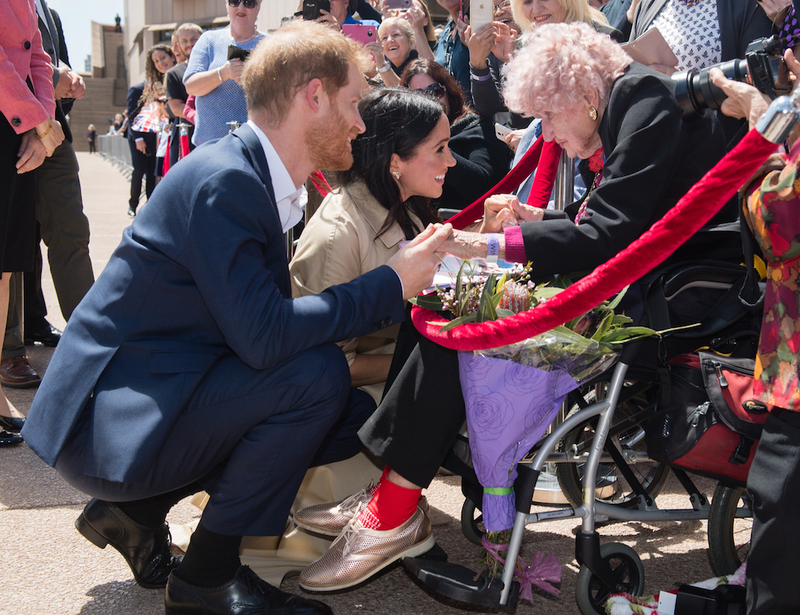 Prince Harry first met Daphne Dunne, his biggest Australian fan, in 2015. Photos of him with Daphne went viral back then and it only made sense that they’d reconnect when he landed in Australia. They met in Sydney and Prince Harry is seen introducing Daphne to Meghan Markle. Aren’t they just the cutest? We simply cannot wait for the royal baby now!